The Association of the Luxembourg Fund Industry (ALFI) and the International Securities Lending Association (ISLA) are delighted to host their first joint event in Luxembourg for their respective members. The seminar will bring together participants from across the investment fund industry and securities lending value chain, including asset managers, agent lenders, banks, depositaries, custodians, clearing institutions and service providers. This half day event will be a mix of presentations, keynote addresses and panel discussions – all designed to provide the audience with an opportunity to discuss the evolving regulatory landscape, respective industry trends and key business drivers. Join us on 12 February 2019 at 13.00 pm at the Luxembourg Chamber of Commerce. This seminar is reserved to ALFI & ISLA members only. To register, please contact info@alfi.lu. Sponsorship opportunities for this event are available. Contact the ALFI events team at events@alfi.lu to hear more about different options. 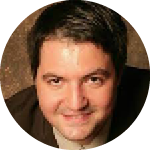 Nikolay Arnaudov is a Senior Policy Officer at the Market Department at ESMA. He is working for ESMA since January 2013 where he has been fully dedicated to trade repositories in all the different aspects such as policy work, registration and supervision. He led ESMA’s work on Level 2 measures under SFTR. Prior to working at ESMA, Nikolay worked at the Chairman’s Office at the Spanish CNMV with particular focus on market infrastructures. Before that he worked at the Directorate General Internal Affairs at Banco de España. Nikolay has a degree in Business Administration by Universidad Carlos III de Madrid. He is interested in derivatives, SFTs, regtech, financial stability, behavioral finance, market infrastructures and geopolitics. Harpreet Bains is Global Head of Product Management in the Agent Lending Group of Investor Services at J.P Morgan. 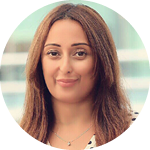 Harpreet has been in the securities lending business for 11 years, and in her current position based in London, she is responsible for the ongoing management and execution of the product, including strategy and financial performance. Her role involves working closely with sales and relationship management to deliver securities lending solutions to clients. She began her career in J.P Morgan in 1999, and since joining she has held various roles. Prior to securities lending, she spent 5 years as an internal auditor for Investor Services, and before audit, she worked as a legal entity financial controller with coverage of the European entities. Harpreet holds a first class Honours degree in Business and Financial Services. François Baratte is a Senior Industry Affairs Adviser at ALFI (Association of the Luxembourg Fund Industry). He joined the association in September 2017 to coordinate the Market Infrastructures and Depositaries regulatory portfolios. 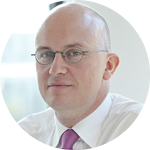 Before joining ALFI, François was Director at FBA Conseil, a consultancy firm he created in 2005. He has fulfilled a dozen of significant assignments on regulatory and valuation aspects covering the full scope of financial instruments and transactions. He has led these missions across 10 countries for 5 Globally Systematically Important banks (GSIBs) and a National Competent Authority. 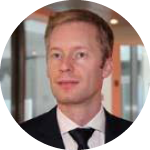 Prior to joining FBA, François has been a consultant for CSC Peat Marwick, then Manager at Accenture. François holds a Master degree and a Post Graduate degree in Business Administration from the University Paris Dauphine (France). Kevin Demeyer is a Senior Manager at Deloitte Luxemburg. 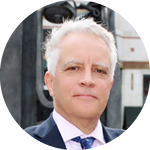 With 12 years of experience in the securities industry, he has spent the majority of his career involved in market infrastructure related topics and collateral management. He has a vast experience in collateral management, as well as all elements linked to transaction reporting across multiple regulations applicable in the European Union. Vincent Dessard is senior policy advisor at EFAMA (European Funds and Asset Management Association). He is in charge of capital markets infrastructures, trade reporting and financial instruments (e.g. securitisation) related files, covering at MiFID II and MiFIR, EMIR; SFTR among others. Before joining EFAMA in 2011, Vincent spent 6 years in BNP Paribas Investment Partners (previously Fortis Investments Management) initially setting up its capital markets legal unit, starting by developing and negotiating its contractual standards rules, managing this specialised team of 7 lawyers. He has been the central point for the Lehman bankruptcy. Vincent started his career at Euroclear SA where he held different positions e.g. in collateral management. Vincent has a master in law from the Université Catholique de Louvain and is a company lawyer, member of Belgian Institute for In-House Lawyers (IJE). 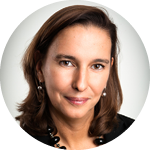 Nathalie Dogniez is a Partner at PwC Luxembourg where she leads the Regulatory Team of the European AWM practice as well as the ESG practice. 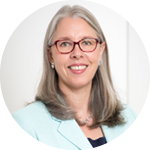 She has been servicing the asset management industry since 1989 and has developed regulatory expertise over topics such as UCITS, AIFMD and Money Market Funds Regulation as well as on ESG matters. ESG eligibility committee of Luxflag (the Luxembourg Fund Labelling Agency). She is a regular speaker at Asset Management conferences, on regulatory, compliance, governance and responsible investing matters. 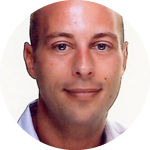 Aurelien Dunet joined IFM in July 2008 and he was appointed Director & COO in March 2010. He became also the Conducting Officer for the Management Company and Board Member of several investment funds. 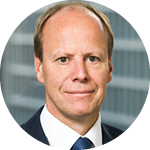 He holds a Master of Science in Management (MSc) from Toulouse Business School and an Executive MBA from Kellogg School of Management and WHU – Otto Beisheim, School of Management. 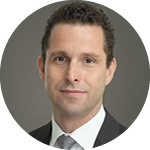 Before joining IFM, Aurelien worked as Vice-President at Citibank Luxembourg for 9 years, and held different positions in Treasury, Sales & Marketing, Institutional Account and Client Management. Andy joined ISLA in 2013 and took over as Chief Executive in mid-2016. As well as leading our advocacy efforts with policy makers and regulators, he is also responsible for defining the aims and objectives of the Association and ensuring that we meet the needs and requirements of our member firms across Europe, Middle East & Africa. 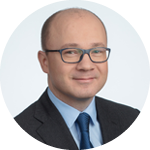 He regularly participates in panel discussions at conferences and events, representing the interests of the industry and advocating the importance of securities lending to the efficient functioning of the broader capital markets. Prior to joining ISLA, he held senior product and account management roles across the securities finance industry including Deutsche Bank, HSBC, Prudential M&G and IHS Market (formerly DataExplorers). 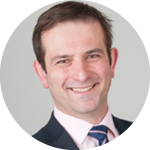 Before joining the world of capital markets Andy worked in commercial and corporate finance banking including aerospace finance. Ingrid Garin is a heading the BNY Mellon Markets business development team in Europe. She is responsible for business development in EMEA centered around delivering collateral management and segregation solutions. In her over 20 years professional career she held previous managerial positions in collateral management operational groups both at BNY Mellon and JP Morgan Chase. She holds a BA in translation and a BA in international politics. Stefan Kaiser, Managing Director, is responsible for Securities Lending clients in EMEA and APAC within BlackRock’s Trading & Liquidity Strategies Group. This includes all securities lending client relationships across Retail, ETF and Institutional clients as well as regulatory engagement. Mr. Kaiser’s service with the firm dates back to 2005, including his years with Barclays Global Investors (BGI), which merged with BlackRock in 2009. Prior to joining BGI, Mr. Kaiser worked for Commerzbank in a variety of positions, including Mergers & Acquisitions, Corporate Banking, Investor Relations and Asset Management in London, Shanghai, Frankfurt and Singapore. Mr. Kaiser represents BlackRock on the board of the International Securities Lending Association (ISLA). He earned a BA degree in finance from University of Cooperative Education Mosbach and an MSc in business management and economics from University of Trier. In October 2006 Séverine joined BNP Paribas Securities Services Luxembourg successively as DepoBank Analyst, DepoBank Manager and Head of DepoBank and Investment Compliance. In that role she was in charge of the Depositary Bank supervision, Fund Sponsorship oversight and of the monitoring of funds investment rules. Currently, she acts as Depositary & Fiduciary Services Technical Manager still within the same department. As depositary regulation referee, she ensure BNP Paribas Securities Services Luxembourg depositary model and specific set-up are in line with regulation. Séverine is also an active member in several working groups of the ABBL/ALFI Depositary Bank Forum. Séverine graduated in “ Ingénieur Commercial ” from Hautes Etudes Commerciales de Liège (HEC Liège) in 2002. 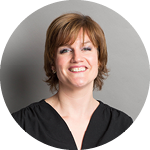 Séverine started its professional carrier as an auditor with PwC Luxembourg. Ed is Managing Director, Product Development at eSecLending (Europe) Ltd. and is responsible for leading the company’s product development efforts focused on new markets, collateral and liquidity solutions and regulatory initiatives. Ed joined eSecLending in 2010 having begun his financial services career in 1988. Prior to joining eSecLending, Ed held positions at Data Explorers (now acquired by IHS Markit), Northern Trust, Baring Asset Management and Lloyds Bank. Marijn is an Account Director at FleishmanHillard EU, a leading government affairs consultancy in Brussels. Marijn advises a wide array of clients on EU policy, regulatory and reputation issues in the financial services sector. 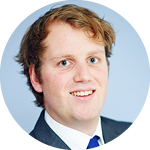 Marijn holds a Master’s degree in European Political Economy from the London School of Economics. He is Belgian national. German. 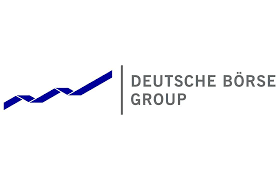 Since Oct.2016, Jean-Robert is Executive Director and Head of Market Development for the “Global Funding and Financing” (GFF) Team at Deutsche Börse Group ¦ Clearstream Banking. In this new function, Jean-Robert is responsible for strategic partnerships, cooperations and coopetition, as well as representing the GFF team in all public and regulatory matters across trading, clearing and post-trade layers of Deutsche Börse Group, Eurex Repo, Eurex Clearing AG and Clearstream. The overall GFF offering spanning across Repo, Securities Lending and Collateral Management markets. Prior to this last assignment in Group Deutsche Börse, Jean-Robert Wilkin worked for Clearstream since 1993, in numerous roles and responsibilities but always in the area of Repo, Securities Lending and Collateral Management services. From Operations to Product Management and Sales and Relationship Management and since 2007, as head of Global Securities Financing (GSF) Business & Product Development in charge of both international and domestic GSF products. Jean-Robert has a Degree in Business Administration from the University of Liège, Belgium and a Master Degree in Business Administration from the University of Limerick, Ireland. The Chambre de Commerce has an underground carpark at your diposal. There might be some parking spaces in the streets around the venue. A free WIFI internet connection is offered in the exhibition hall and in the conference room during the event. There are various car rental companies at the airport. An international driving licence is not necessary. Your home licence will suffice, Driving is on the right and wearing a seatbelt is required. Fuel prices are among the lowest in Western Europe.